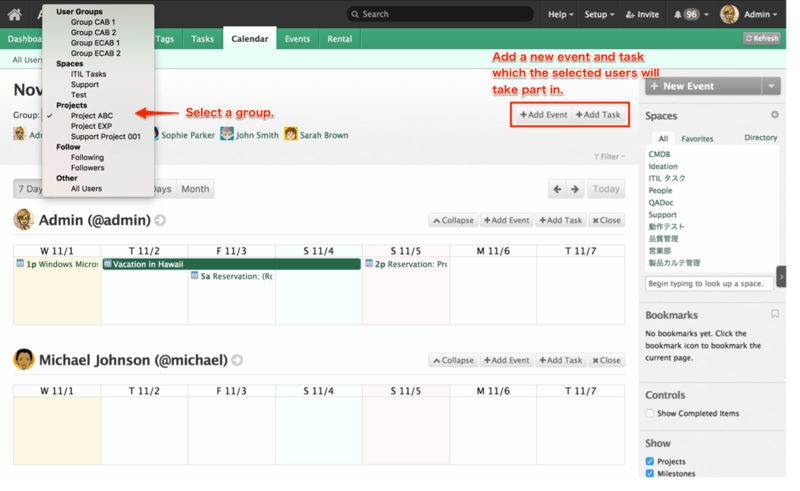 consThe latest version of TeamPage 6.2 includes the FullCalendar plug-in by default and it replaces the "old" calendar capability. 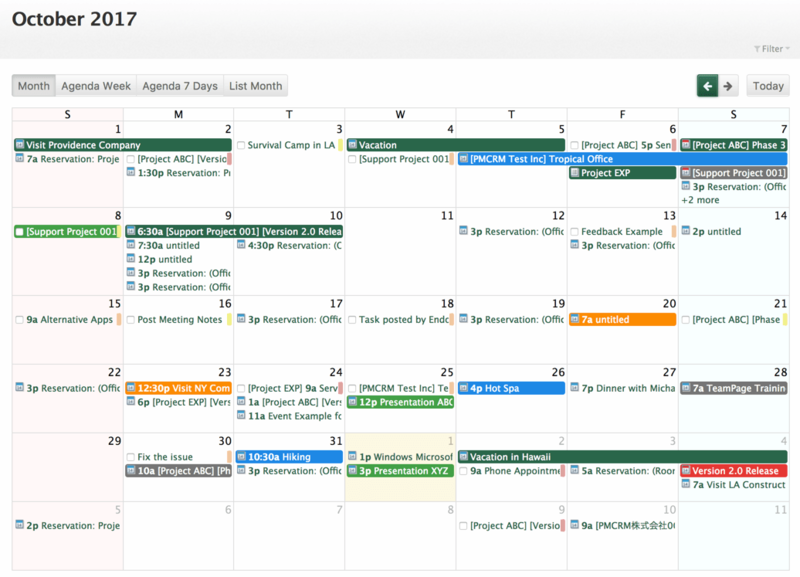 This article describe how to use the FullCalendar capability including views, buttons, moving events etc. Note: Since the FullCalendar plug-in is supposed to be installed by default, you don't have to download and install one from the following link usually. Upload the zip file in Server Settings > Plugins page. After uploading, you will see the I18N error. But don't worry. This error means "you need to restart TeamPage server to load the I18N resources (language files)." Click [Restart TeamPage] in Server Settings > General > Manage Server page. If your TeamPage server is hosted in Traction's cloud environment, you will need to restart your server twice to load the I18N resources correctly. After restarting, you will see that the plugin's name show up correctly. 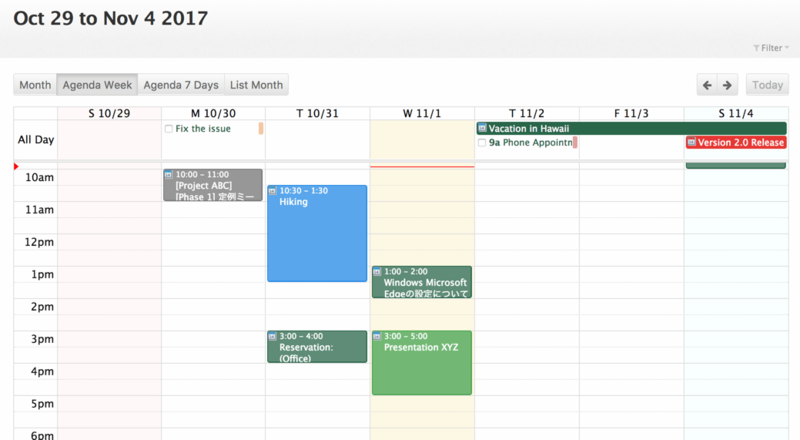 FullCalendar plug-in replaces the "old" calendar capability in the [Calendar] tab. When you open the tab, you will see the "Basic Month" calendar table by default. You can select a "view" (a type and duration of FullCalendar) by clicking the buttons displayed in the top left. In the following pages, the "standard views" are available. In the [Select Users] sub-tab in the [Celendar] tab, you can select a "group" to overview the calendars of the people who belongs to the selected group. The views are summarized into the 3 types, Basic, Agenda, and List. In the Basic views, each item looks like a pillbox. 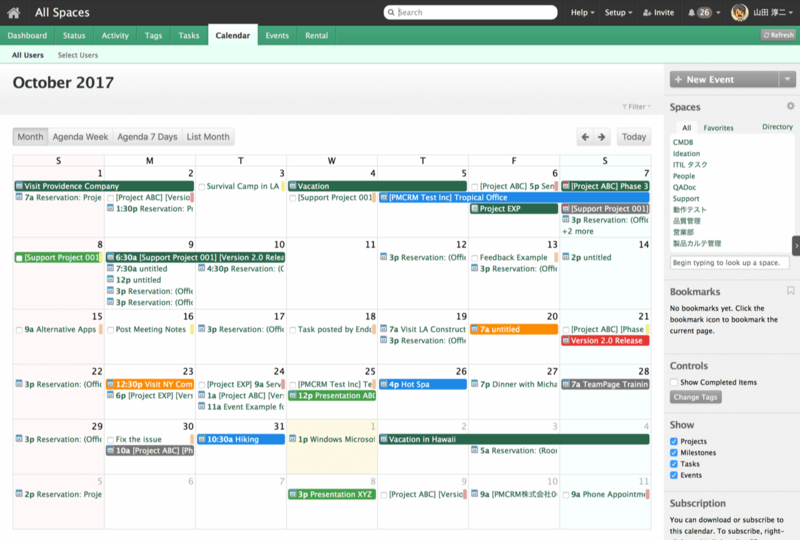 The following picture is an example of the Basic Month view. In the Agenda views, each item shows up like a vertical bar. You can easily see the start and end times of a specific event since the times are displayed in the left edge of the calendar. The picture below shows an example of the Agenda Week view. 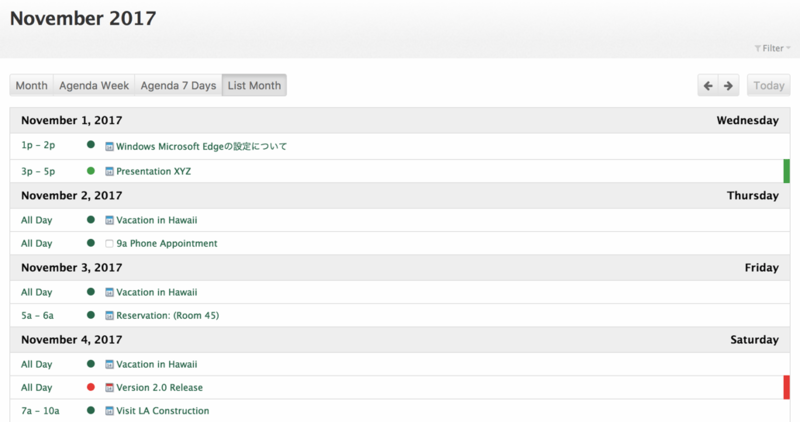 In the List views, each item is displayed as a row in a calendar table. The following picture is an example of the List Month view. Click an icon to post a new event or a new task. If the Phone Notes plug-in is installed, the icon to post a new phone notes entry will show up. You can move a specific item to a different day and time by dragging the item. You can resize a specific item (change the end time of a specific item) by dragging the bottom line of the item on an Agenda view. You can display the items in a specific Google Calendar in the FullCalendar views. Please open the configuration view of the FullCalendar plug-in and follow the instruction.